Yes, it’s nicer to feel moderate, but the election is taking place in a situation of such extreme matters that there are only two options: Either a radical solution, or continuing a life of denial and lies until destruction. Just don’t call it moderation. Israelis, ditch the ‘moderate’ politicians – vote for extremism! 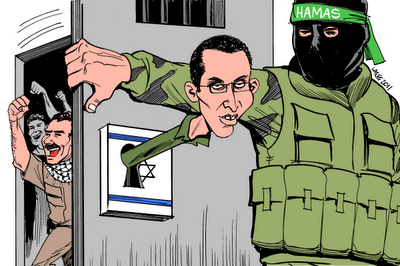 The only ones offering real solutions for Israel’s ills are extremists on the right and left. The moderate voter is considering who to vote for in next March’s election. All he has asked for is a little security, a little quiet, a good salary and, above all, a Jewish state – the kind that will benefit the Jews. We deserve it after all we’ve been through, and so does he. There is a wide selection of electoral lists promising him just this: center-left, center-right, Lapid and Kahlon, Herzog and Livni; and Likud is also a moderate party, relatively speaking. He does not believe any of them, but he will vote for one of them. After all, he is a moderate, and he will cast a vote for moderation. He doesn’t like the extremist parties or radical solutions. In general, he hates extremism; he didn’t ask for that much. The moderate voter wants peace; he absolutely wants peace. But not now, and certainly not by dividing Jerusalem and having rockets fall on Ben-Gurion International Airport. And besides, who is there to make peace with? Hamas? Holocaust deniers? There is no partner. He never visited the territories, not including Highway 443 and that bar mitzvah at the Western Wall. What business does he have there? And anyway, they told him it is dangerous out there. He sees the settlers as extremists. He doesn’t like extremists, and he’s barely met any his entire life. Since serving in the army, he has not met Palestinians either, except for the guy who floored his kitchen – and he has no idea if that guy was a Palestinian, from East Jerusalem or perhaps even a Circassian Israeli. 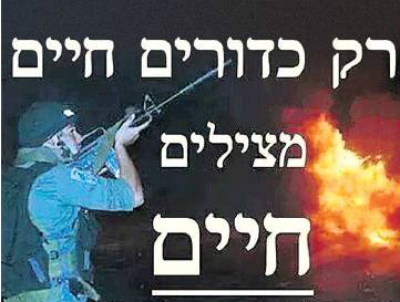 There is no touching the Israel Defense Forces. There’s nothing to discuss, neither its budget nor the behavior of its soldiers. It is the most moral army in the world, and it guarantees security. The moderate voter wants quiet. He can’t deal with another intifada or the headache of evacuating settlers. He also does not want African migrants – let them go somewhere else, because Israel can’t absorb them with all its so-called existential problems. He is also sick of the Supreme Court. The truth is, he isn’t so interested in politics. All these laws – nation-state, infiltration, Nakba and Israel Hayom – went over his head. There’s too much democracy, that’s for sure. He didn’t ask for that much. Most of the parties pledge to fulfill his wishes. A little bit of peace process; perhaps a handful of “painful compromises”; security, of course, and extinguishing terror; as well as continuing mass detentions in Holot and improving relations with America – moderation. Of course, he won’t vote for Avigdor Lieberman (Yisrael Beiteinu) or Naftali Bennett (Habayit Hayehudi) – they are extremists. He probably won’t vote for Meretz, which is borderline extremist, and certainly not for the Zoabis, who are traitors. The moderate voter will eventually find someone situated between the left and right. But the truth is, the moderate voter is extreme like nothing else. He is convincing himself of his own lies, and the moderate parties for which he votes, again and again, lead him to denial. The moderate voter is an extremist, because his votes make possible the extremist policy of the moderate parties: Continuous military occupation, among the most brutal on Earth; an offensive war by Israel every two to three years, causing death and destruction of horrifying dimensions; outlandish military budgets that hinder welfare and spawn violent tyranny over another people. This is what the moderates in Israel do, not the extremists, and the moderate voter is a full partner. His coconspirators in the lie, the moderate parties, don’t offer any solution – just worn-out clichés that they don’t seriously believe. There are no moderate solutions to an extreme situation. The only ones offering real solutions are the extremists on the right and the left. And what do the moderates offer? To leap into the abyss with gentle, measured dialogues? One step forward and two steps back? There is no such thing. Israel is pulling out of talks in Cairo on extending a truce with Hamas after a 72-hour ceasefire ended and violence resumed on Friday, an official said. “Israel will not negotiate under fire,” the official said on condition of anonymity, noting Israel had informed Egypt of its willingness to extend the truce by another three days before “Hamas breached the ceasefire”. The hope that a 72-hour truce in hostilities between Israel and the Hamas would lead to a more permanent ceasefire collapsed with a barrage of rockets fired from Gaza at Israel today, and was followed by Israeli air strikes in retaliation. Even more worrying was that the negotiations in Cairo between the two came to an abrupt end with no agreement or even progress in sight. From the beginning of this war the decision makers in Jerusalem and Gaza should have known, considering past experiences, that by the end of it neither of the sides would cave in to the others demands, or achieve any decisive military result. The longer it continued, the more entrenched both sides became in their initial positions. The price that both sides paid in this conflict in terms of casualties, destruction, deterrence and international reputation, forces them to harden their positions in the negotiations in order to justify the heavy costs of war. For the more sober observer, there is only one conclusion. Violence can achieve very little in this conflict. Only a genuine political process that addresses the root causes of this conflict and resolves it in a manner which provides security and rights to everyone will reduce the motivation for war and marginalise the extremists from both camps. For the Israeli public a ceasefire means they can return to living normal lives and pretending the occupation and the siege of Gaza don’t exist. For the Palestinians in Gaza, it will mean the suspension of their lives within the pit of misery. Time is a torture weapon for the Palestinians in Gaza. With hundreds of thousands displaced, essential civilian infrastructure destroyed and the entire population of 1.8 million suffering severe electrical, water and medical shortages, ceasefire or not, every single minute that passes under siege is an act of brutal war and aggression. There is widespread consensus amongst all Palestinians now that if the siege isn’t lifted, the Palestinian armed groups with the support of the population will return to armed resistance. Israel insists on its demand to demilitarize Palestinian factions. But Palestinians are convinced they need to be able to protect themselves. No one has intervened as Israel pounded Gaza with Canons, tanks and F16s. The only ones that stood up to the assault were the armed Palestinian groups who were able to push back the world’s fourth most powerful army. Convincing Palestinian resistance to surrender their weapons now is likely to be met with rejection not just from the militant groups but the general Palestinian public. Moving forward, the only break to this impasse is likely to happen if Egypt stepped up to the plate and agreed to open the Rafah crossing and if other significant players demanded that Israel live up to its obligations under International Humanitarian law or face sanctions. If the Palestinian team returns from Cairo without achieving at minimum an end to the siege, Palestinians will be left with only one option and that is a return to armed resistance which will be a horrendous tragedy that will further compound Palestinian suffering. We have heard from many in Gaza this past month a repetition of the same phrase: we want to live free or die here. The overlooked story in Israel’s attack on Gaza is Hamas’ remarkable military achievements. Its fighters used a network of tunnels to ambush Israeli soldiers, killing more than 60 of them – half the number of fatalities inflicted on Israel in Lebanon in 2006 by Hizbullah, a much better equipped force. 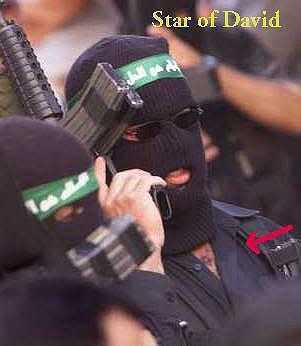 Hamas even launched a daring raid on a military post inside Israel, killing five soldiers. It also continued to fire rockets into Israeli cities throughout the fighting, even briefly shutting down Israel’s only international airport. The damage to Israel’s economy is estimated at some $4.5 billion so far. 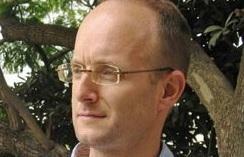 Faced with Hamas’s stiff resistance, Israel was effectively beaten by the clock. The US and European states can only turn a blind for so long to killing on the scale Israel inflicted on Gaza’s civilians. Benjamin Netanyahu also lost his stomach for a deeper ground invasion, one in which the costs in soldiers’ lives was sure to rise. Hamas has achieved too much, and Gaza paid too high a price, for it not to insist on the realisation of the one demand that unites everyone in the enclave: an end to Israel’s stifling blockade. But Israel’s military humiliation means it cannot afford to let Hamas regroup and hone its skills. Israel’s new watchword for Gaza is “demilitarisation”, to keep out all materials that could assist Hamas in the next confrontation. The current or future talks will have to find a way out of this impasse. The temptation for both sides will be to use long-range blows – rockets from Hamas, shelling and air strikes from Israel – to step up the pressure on the other for a deal, as we saw happen as soon the ceasefire deadline expired this morning. Ironically, the solution for Netanyahu may be provided by Hamas’ recent agreement to a reconciliation with the Fatah party of Mahmoud Abbas. It was their unity government that Netanyahu has been trying to disrupt with his attacks on Hamas in the West Bank and Gaza. He can agree to an easing of the blockade, giving Hamas a partial victory, but only on condition that Fatah and Abbas return to police Gaza. Then Netanyahu can turn the screws on Abbas to demilitarise Gaza on Israel’s behalf. The sheer use of the word ‘ceasefire’ is insulting. It depicts an artificial symmetry that the Palestinians have fell for, even though reality on the ground is totally contrary. For a fragile, non-representative, Palestinian unity delegation to be engaged in ‘ceasefire’ negotiations with their military occupier (it means little if done directly or through intermediaries) sets up Palestinians for an Oslo-like phase, where, no matter what is agreed, the Palestinian side will be signing away rights that have been stripped from them by Israel for decades. These rights, first among them protection, should be secured by Third States under their obligations toward the Fourth Geneva Convention, without the need for ‘resistance’ or ‘ceasefire’ talks. A ‘ceasefire’ simply reinforces the false impression that there is some hint of symmetry between Palestine and Israel. There is not! Furthermore, to be conducting these ‘ceasefire’ talks in the capital of a country that participates in the siege of the Gaza Strip should be an embarrassment to every member of the Palestinian negotiating team, first among them Hamas. 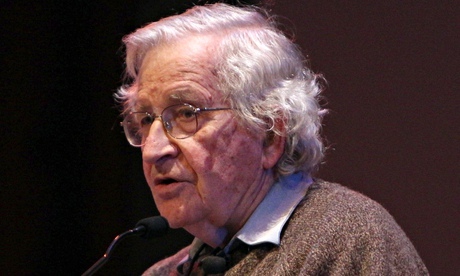 Noam Chomsky, the leading American philosopher and political activist, has said efforts to force a change in Israeli policies towards the Palestinians through boycotts risk backfiring because of insufficient support. In reality the BDS Movement has shown growing support daily both Internationally and in Israel itself. The above is from a report called ‘Israel’s War Against ‘BDS’ Movement‘. Chomsky once again apparently takes Israel’s side. 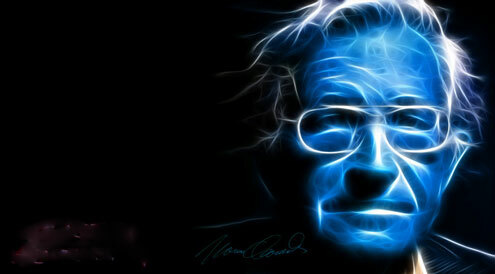 My personal views on Chomsky’s confusion can be seen in the following posts from the archives …. In an article for the Nation, Chomsky courts controversy by arguing that parallels drawn between campaigns against Israel and apartheid-era South Africa are misleading and that a misguided strategy could damage rather than help Israel’s victims. 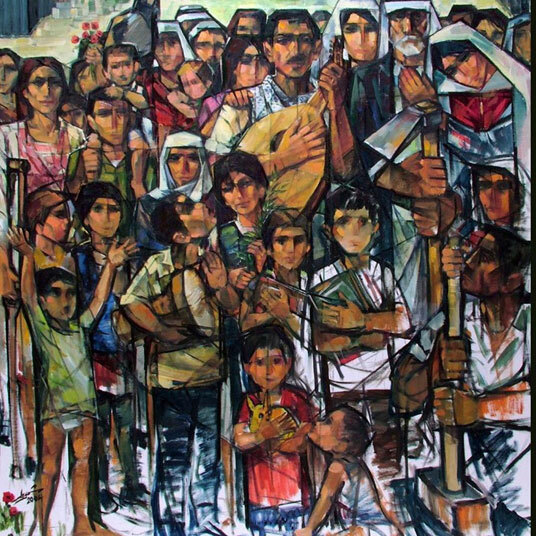 Chomsky says that while there is wide international support for the first two goals, there is only negligible backing beyond the BDS movement itself for the return of the 1948 refugees – a key Palestinian demand. Insistence on that, he says, “is a virtual guarantee of failure”. He also questions the “very dubious” analogy made by BDS between sanctions against Israel and sanctions against apartheid South Africa. By 1960, global investors had already abandoned South Africa, says Chomsky, though some historians dispute the claim. Today, by contrast, US investment is flowing into Israel. Similar arguments are deployed against the invocation of apartheid. “Within Israel, discrimination against non-Jews is severe; the land laws are just the most extreme example. But it is not South African-style apartheid. In the occupied territories, the situation is far worse than it was in South Africa, where the white nationalists needed the black population: it was the country’s workforce, and as grotesque as the bantustans were, the nationalist government devoted resources to sustaining and seeking international recognition for them. Chomsky expresses support for the boycott of products from Israeli settlements in the occupied territories – a strategy enhanced by an EU policy shift last year that was welcomed by pro-Palestinian activists. • This article was amended on 3 July 2014 to clarify that a remark about global investors abandoning South Africa was part of a paraphrasing of Noam Chomsky’s argument. HaAretz is hands down the best commercial media outlet in the State of Israel. It has a handful of top notch reporters that often offer a liberal or left perspective to what is happening here. However, at times they stray from the reality of the situations and offer opinions that are not quite rational. My readers should know by now that I have never been a supporter of the One State Solution for Israel/Palestine, but blaming the left As Akiva Eldar does in the following is far from the truth. The left is not to blame for Israel’s woes, to think so is a flight from reality. But, despite my disagreements with his viewpoint, especially the heading of his post, it does offer some food for thought in support of the Two State Solution. That, in my opinion is the ONLY solution. The desperate leftists propose joining together two hostile communities with a bloodly feud between them and endless prejudices about each other. For 64 years the Jewish community realized the Zionist vision using discriminatory immigration and residential laws, unequal division of resources and hegemony over religious and national symbols. For 45 years a Jewish minority has deprived the Palestinian collective in the occupied territories of political rights and violated the dignity, property rights and freedom of movement of millions of human beings. One State with a wall between?? A binational state is not a solution, but rather a flight from reality and a recipe for perpetuating a duel between two nations. Anyone who gives up on a peace agreement between two states is gambling with the fate of the State of Israel. The settlers are right. Had today’s Zionist left been leading the Jewish community here in the 1940s there is a good chance we never would have had a state. Had those who lay proud claim to being “the peace camp,” who explain how “it’s impossible to evict 300,000 settlers,” been running the show in the early ‘50s, the Yishuv − with its population of 600,000 − would never have taken in one million Jews. The word “irreversible” does not exist in the vocabulary of the settlers. They did not say that the Oslo Accords spelled the death knoll of their enterprise. The settlers adhere to their faith all the way to another outpost and another coalition government, and the left cries all the way to nowhere. While the settlers build house after house and destroy the peace process stage after stage, the honorable members of the Zionist left announce one after another the capitulation to “the will of the people.” In exchange for the idea of partition, they propose, accompanied by heartrending sighs, that we begin to prepare for a binational state. It’s like a marriage counselor who advises a couple that has been making each other miserable for decades to go on living together in order to avoid divvying up their assets. 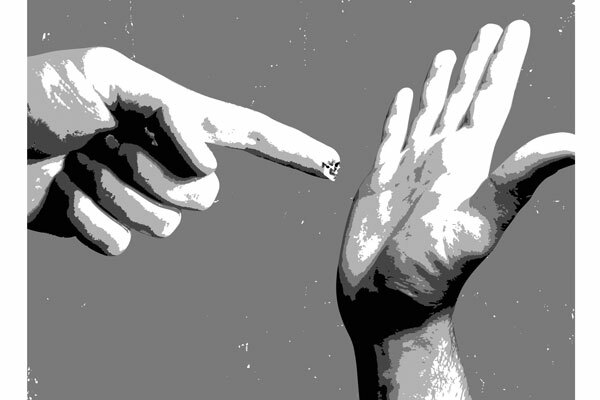 Instead of helping them to separate amicably, co-parent successfully and build independent new lives, the counselor urges them to perpetuate their misery. What will happen when the Palestinian minority in the binational state becomes the majority − in 2020, or 2030, or perhaps in 2050? What will we do then, when the Palestinian majority exercises its right to vote? The model for action already exists: The Palestinian parliament can copy the behavior of Israel’s Knesset in the Netanyahu-Lieberman-Eldad era. Is anyone willing to guarantee that the Palestinians won’t replace Israel’s Law of Return, for Jewish immigrants, with a law enshrining the Palestinian right of return? Can anyone guarantee that they won’t turn the Jewish National Fund into the Palestinian National Fund; replace the blue and white flag with a black, white and green flag with a crescent moon on the side, and replace “Hatikva” with “Fida’i” ‏(popularly known as “Biladi, Biladi”‏)? Who will light the torches on Mount Herzl on Independence Day? Or perhaps the government of Israstine will ban ceremonies marking the Jews’ temporary victory. Why wouldn’t they give funding preference for schools in Arab local councils, rename the Israstine international airport after Yasser Arafat and change the name of Ariel University Center of Samaria to the Arab University of the West Bank? We’ve been riding them for decades, why wouldn’t they want to turn the tables on us? At best we’d come out of it with only a few broken ribs. True, Knesset Speaker Ruby Rivlin has said he would rather live in a binational state than to divide Jerusalem. So what? 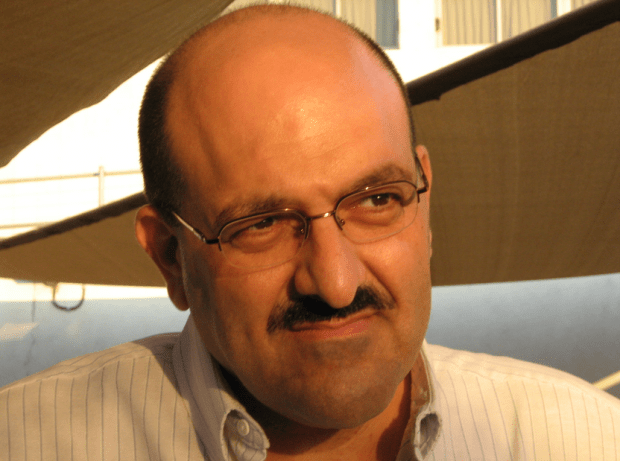 Is he genuinely willing to cede his place on the dais to Knesset Speaker Ahmed Tibi and settle for interjections from the Jewish opposition parties’ back benches? True, “United Jerusalem” will not turn into “United Al Quds” during his term; that irresponsible mortgage, taken out by him and his friends on the new Zionist left, will be paid by all of our grandchildren and great-grandchildren. A binational state is not a solution, but rather a flight from reality and a recipe for perpetuating a duel between two nations. Anyone who gives up on a peace agreement between two states is gambling with the fate of the State of Israel. Leftist, go to the settlers, learn their ways and settle at the doorstep of every Israeli voter. It’s not too late. When Richard Goldstone issued his report dealing with the violations of Human Rights in Gaza two years ago there was a renewed hope that the situation might change. Unfortunately, the only things that changed were his opinions on what was originally written. The changes came about due to pressure from the zionists whose camp he himself supported over the years. Local ostracism and barring him from his own grandson’s Bar Mitzvah were too much for him to handle in a rational way. These factors led to the irrational positions taken afterwards, positions he adheres to, all in the form of lies, all for the sake of redemption, one which would grant him favour in the zionist community, but disgrace in the rest of the world. The views expressed in this article are the sole responsibility of the author and do not necessarily reflect those of this website….. BUT, it’s definitely worth reading. 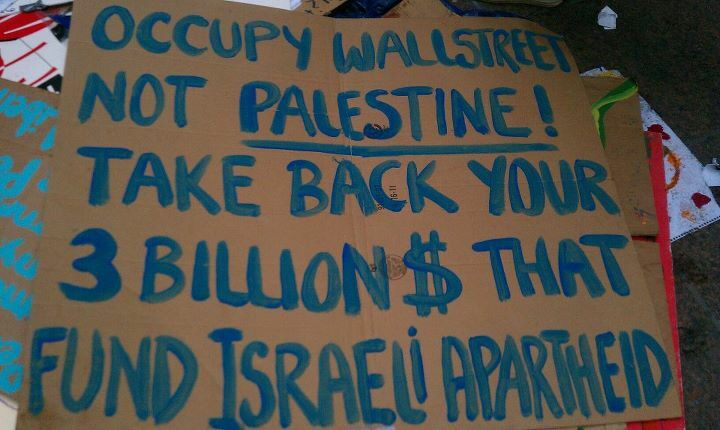 Not Like Tel Aviv, Yet: The protesters camped out on Wall Street haven’t brought American capitalism to its knees yet. A veteran of the Israeli tent city protests says they started small, too. It was one day after New York City police arrested scores of left-wing demonstrators during a march on Manhattan’s Union Square, and the ranks were dwindling at the protesters’ downtown encampment. A member of the group offered a weather forecast extending to the end of the week — not a minor consideration for the activists, who gathered on September 25 in the plaza they had occupied for a week and in which they intended to stay put. To Ronen Eidelman, a 40-year-old Israeli activist who helped organize the massive tent protests that rocked Israel this past summer, the young, largely white crowd was a little underwhelming. Eidelman spent 6 weeks, on and off, sleeping in a tent this summer. He showed up at the first protest camp on Rothschild Boulevard in Tel Aviv within three days of its founding, then moved to establish a satellite camp in the immigrant neighborhood near the Central Bus Station in southern Tel Aviv. The movement sparked by Israel’s tent cities grew, over the course of three months, into the largest social protests in Israel in decades. But on September 25, the New York protest effort, known as Occupy Wall Street, wasn’t quite there yet. In fact, the Wall Street protest seemed bedeviled by obstacles when Eidelman visited. Take the loudspeaker problem. The few hundred activists holding a planning meeting in the corner of the park relied not on an electronic amplification system, but rather on participants talking in short phrases that the crowd repeated, like a massive game of telephone. “We had mics,” Eidelman said of his tent city near the bus station. Wall Street activists told Eidelman that police had threatened to arrest those who used megaphones. Eidelman thought: Why not buy a few hundred megaphones and dare them to arrest everyone? Apparently the idea hadn’t been raised. “I could say that they’re wimps,” Eidelman said. Eidelman immigrated to Israel at the age of 7 and speaks English in an American accent with Hebrew cadences. 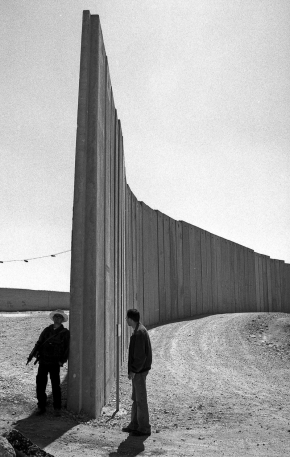 A founder of the anti-occupation group Anarchists Against the Wall, he spent years working on direct action campaigns against the construction of Israel’s security barrier. Eidelman and his allies were used to being beyond the fringes of the Israeli consensus, so finally being part of a mass movement during the tent protests felt strange. “It’s so weird to be suddenly in a place where everybody supports you,” Eidelman said. In protester-occupied Zuccotti Park, a few feet from ground zero, Eidelman observed that the American activists seemed more afraid of the police than the protesters had been in Tel Aviv. Perhaps not without reason: A widely circulated video taken at a march the day before showed a police official, seemingly unprovoked, spray a group of young women with pepper spray. In Tel Aviv, Eidelman said, the Israelis came onto the streets with a sense of ownership and a feeling that the police worked for them. “The good thing about Zionist education is they tell you the country is yours,” Eidelman said. Zionism also values collective effort, and Israelis are often veterans of youth movements and of the army — experiences that couldn’t have hurt in preparing thousands of Israelis to go camping together for a few months. Meanwhile, the student movement and the kibbutz movement offered supplies and infrastructure to the protesters in Israel, Eidelman said, functions that the Wall Street protesters are pulling together on the fly. The protesters who sparked the Israeli mass movement made sure to be accommodating to everyday Israelis. At Eidelman’s camp in Tel Aviv, the kitchen had served meat — anathema to the longtime activists, many of whom are vegetarians. But the tent cities were meant to be for everyone. On Wall Street, Eidelman saw a lack of openness. He said he had visited three times and no one had invited him to join in. But while Eidelman held out hope for the Wall Street protests, the Tel Aviv-based demonstrations were conspicuously absent from the Wall Street protesters’ rhetoric. The protesters regularly cite the demonstrations in Cairo’s Tahrir Square and the ongoing protests in Madrid. But Rothschild Boulevard is rarely name-checked. “There is some hesitancy with proclaiming to be in solidarity with the tent protests in Tel Aviv, because there has not been a direct call from those protests to end the Israeli occupation of Palestine,” said Ari Cowan, 21, who said on September 26 that he had slept in the plaza all but two of the nine nights of the occupation. The complaint, which is not uncommon, is one for which Eidelman has little patience. I applaud any effort that reduces the number of executions and this strategy appears to be making some headway. It fails, however, to address the core problems of the death penalty and our criminal justice system. Even if we could guarantee without bias that the state would execute only those guilty of premeditated killing, these executions would still be wrong. Keep the Death Penalty to Encourage Prison Reform? Lest some find the paragraph I quote above unclear, Mr. Douthat appears to argue that rather than abolish the death penalty because we can’t apply it fairly, we should take greater pains to apply it and other criminal penalties in a more just fashion. I find Mr. Douthat’s logic strained, even perverse. Is he saying it is worth risking a few unjust executions in order to improve the public’s perception of our criminal justice system? But in a way Mr. Douthat’s analysis is not an unreasonable response to the tactics of much of the domestic anti-capital punishment movement, which is engaged primarily in case-by-case demonstrations that we might execute innocent defendants. This strategy is being applied on a state-by-state basis in those locales where anti-death penalty sentiment is strongest. Abolitionists employing these tactics supplement their arguments with proof of the system’s unfairness and excessive cost. The initial words of Article 3 of the Universal Declaration of Human Rights as adopted by the United Nations, which is the first to enumerate a specific right, read: “Everyone has the right to life”.” Simply put, the death penalty is a human rights abuse. This makes sense because if our government has the right to extinguish our lives, it has the power to deny us access to every other right listed in the Declaration. The rights set forth in Articles 4 through 30 won’t do you much good if you aren’t alive to enjoy them. 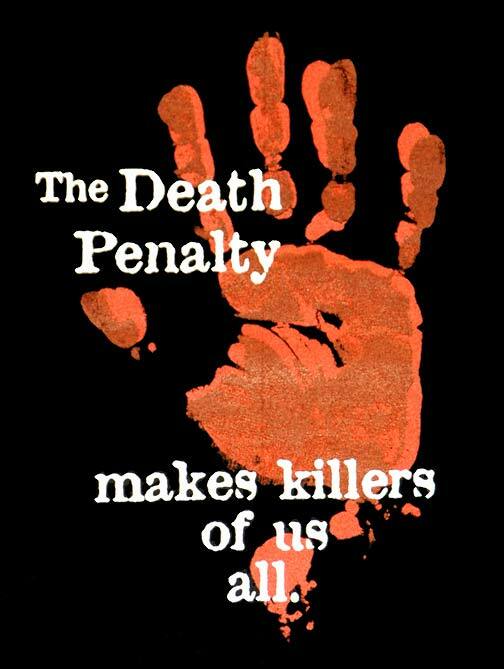 While the domestic anti-capital punishment movement is reluctant to make this argument because most Americans don’t agree with it, it is the one we must ultimately make and win if we wish to permanently rid our nation of the death penalty. We must also consider the larger context capital punishment inhabits. Our system disproportionately imprisons far too many people for far too long. Mr. Douthat exposed a basic truth, although he backed into it. Race and class discrimination permeates our entire criminal justice system. Mr. Douthat poses this as an either/or proposition. Either we eliminate capital punishment to avoid a wrongful execution or we reform our system to make it fairer. Instead, we must do both, although I think the word “reform” understates what is needed. Commuting Troy Davis’ death sentence – or that of any other wrongfully convicted death row defendant – to life imprisonment without the possibility of parole is not a just solution, but it is a result many in the mainstream anti-death penalty movement in our country appear to be promoting. Let us use Troy Davis’s wrongful execution as a rallying cry to reassert our common humanity by demanding that our government stop its cold-blooded extermination of our fellow human beings. But we must also demand the end of the wholesale warehousing of over two million people in the degrading conditions of our bloated prison industrial complex. 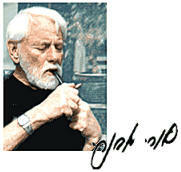 For thirty years he has been a progressive activist, author and public speaker. In the 1970’s he and his brother, Michael, successfully sued the FBI and CIA to force the release of 300,000 previously secret documents about their parents. He earned undergraduate and graduate degrees in Anthropology from the University of Michigan, graduated law school in 1985, and was admitted to the Massachusetts Bar. In 1990, after leaving private practice, Robert founded the Rosenberg Fund for Children (www.rfc.org) and now serves as its Executive Director. The RFC, which is in the midst celebrating its 20th anniversary, provides for the educational and emotional needs children in this country whose parents have been harassed, injured, jailed, lost jobs or died in the course of their progressive activities. The RFC also helps activist youth in the U.S. who have been targeted themselves. In its 20-year history, the Fund has awarded almost $4 million in grants to benefit hundreds of children. Robert’s memoir, AN EXECUTION IN THE FAMILY was published by St. Martin’s Press on the 50th anniversary of his parents’ executions. The book details his odyssey from Rosenberg son to political activist and leader of the Rosenberg Fund for Children. Comments Off on DEATH TO THE DEATH PENALTY! ARE THE PEOPLE OF ISRAEL IN DANGER OR IS THEIR GOVERNMENT? WHO ARE these people? What exactly do they want? At that point, there will be a temptation – perhaps an irresistible temptation – to “warm up the borders”. To start a nice little war. Call on the youth of Israel, the same young people now manning (and womanning) the tents, to go and defend the fatherland. Nothing easier than that. A small provocation, a platoon crossing the border “to prevent the launching of a rocket”, a fire fight, a salvo of rockets – and lo and behold, a war. End of protest. In September, just a few weeks from now, the Palestinians intend to apply to the UN for the recognition of the State of Palestine. Our politicians and generals are chanting in unison that this will cause a crisis – Palestinians in the occupied territories may rise in protest against the occupation, violent demonstrations may ensue, the army will be compelled to shoot – and lo and behold, a war. End of protest. I answered that I have faith in the people of Israel. Contrary to appearances, we are a sane people. Some time, somewhere, a new movement will arise and change the situation. It may happen in a week, in a month, in a year. But it will come. She had been evicted by her landlady because she couldn’t afford the rent. She set up a tent in Rothschild Boulevard, a long, tree-lined thoroughfare in the center of Tel Aviv. The news spread through facebook, and within an hour, dozens of tents had sprung up. Within a week, there were some 400 tents, spread out in a double line more than a mile long. Similar tent-cities sprang up in Jerusalem, Haifa and a dozen smaller towns. The next Saturday, tens of thousands joined protest marches in Tel Aviv and elsewhere. Last Saturday, they numbered more than 150,000. 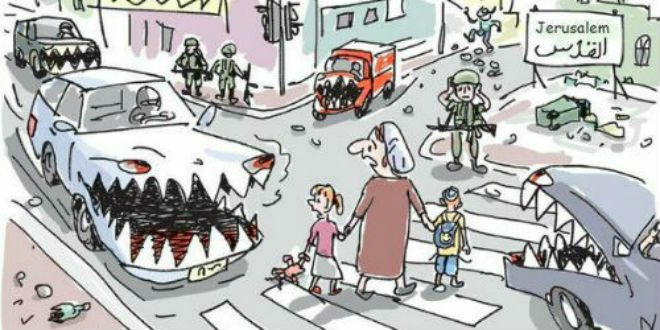 This”] has now become the center of Israeli life. The Rothschild tent city has assumed a life of its own –a cross between Tahrir Square and Woodstock, with a touch of Hyde Park corner thrown in for good measure. The mood is indescribably upbeat, masses of people come to visit and return home full of enthusiasm and hope. Everybody can feel that something momentous is happening. IT ALL started in a remote little town in Tunisia, when an unlicensed market vendor was arrested by a policewoman. It seems that in the ensuing altercation, the woman struck the man in the face, a terrible humiliation for a Tunisian man. He set himself on fire. What followed is history: the revolution in Tunisia, regime change in Egypt, uprisings all over the Middle East. The Israeli government saw all this with growing concern – but they didn’t imagine that there might be an effect in Israel itself. Israeli society, with its ingrained contempt for Arabs, could hardly be expected to follow suit. But follow suit it did. People in the street spoke with growing admiration of the Arab revolt. It showed that people acting together could dare to confront leaders far more fearsome than our bumbling Binyamin Netanyahu. Some of the most popular posters on the tents were “Rothschild corner Tahrir” and, in a Hebrew rhyme, “Tahrir – Not only in Cahir” – Cahir being the Hebrew version of al-Cahira, the Arabic name for Cairo. And also: “Mubarak, Assad, Netanyahu”. In Tahrir Square, the central slogan was “The People Want to Overthrow the Regime”. In conscious emulation, the central slogan of the tent cities is “The People Want Social Justice”. A selection of the slogans gives an impression: We want a welfare state! Fighting for the home! Justice, not charity! If the government is against the people, the people are against the government! Bibi, this is not the US Congress, you will not buy us with empty words! If you don’t join our war, we shall not fight your wars! Give us our state back! Three partners with three salaries cannot pay for three rooms! The answer to privatization: revolution! 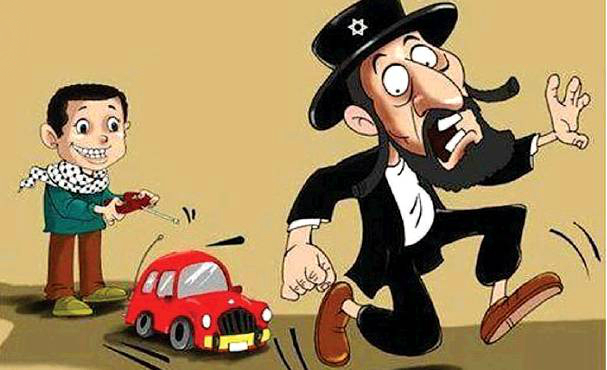 We were slaves to Pharaoh in Egypt, we are slaves to Bibi in Israel! I have no other homeland! Bibi, go home, we’ll pay for the gas! Overthrow swinish capitalism! Be practical, demand the impossible! WHAT IS missing in this array of slogans? Of course: the occupation, the settlements, the huge expenditure on the military. This is by design. The organizers, anonymous young men and women – mainly women – are very determined not to be branded as “leftists”. They know that bringing up the occupation would provide Netanyahu with an easy weapon, split the tent-dwellers and derail the protests. We in the peace movement know and respect this. All of us are exercising strenuous self-restraint, so that Netanyahu will not succeed in marginalizing the movement and depicting it as a plot to overthrow the right-wing government. As I wrote in an article in Haaretz: No need to push the protesters. In due course, they will reach the conclusion that the money for the major reforms they demand can only come from stopping the settlements and cutting the huge military budget by hundreds of billions – and that is possible only in peace. (To help them along, we published a large ad, saying: “It’s quite simple – money for the settlements OR money for housing, health services and education”). Voltaire said that “the art of government consists in taking as much money as possible from one class of citizens to give it to the other”. This government takes the money of decent citizens to give it to the settlers. WHO ARE they, these enthusiastic demonstrators, who seemingly have come from nowhere? All this in a flourishing economy, which has been spared the pains of the world-wide economic crisis and boasts an enviable unemployment rate of just 5%. If pressed, most of the protesters would declare themselves to be “social-democrats”. They are the very opposite of the Tea Party in the US: they want a welfare state, they blame privatization for many of their ills, they want the government to interfere and to act. Whether they want to admit it or not, the very essence of their demands and attitudes is classically leftist (the term created in the French Revolution because the adherents of these ideals sat on the left side of the speaker in the National Assembly). They are the essence of what Left means – (though in Israel, the terms “Left” and “Right” have until now been largely identified with questions of war and peace). No one can say. When asked about the impact of the French Revolution, Zhou Enlai famously said: “It’s too early to say.” Here we are witnessing an event still in progress, perhaps even still beginning. It has already produced a huge change. For weeks now, the public and the media have stopped talking about the borders, the Iranian bomb and the security situation. Instead, the talk is now almost completely about the social situation, the minimum wage, the injustice of indirect taxes, the housing construction crisis. Under pressure, the amorphous leadership of the protest has drawn up a list of concrete demands. Among others: government building of houses for rent, raising taxes on the rich and the corporations, free education from the age of three months [sic], a raise in the salary of physicians, police and fire-fighters, school classes of no more than 21 pupils, breaking the monopolies controlled by a few tycoons, and so on. So where from here? There are many possibilities, both good and bad. Netanyahu can try to buy off the protest with some minor concessions – some billions here, some billions there. This will confront the protesters with the choice of the Indian boy in the movie about becoming a millionaire: take the money and quit, or risk all on answering yet another question. Or: the movement may continue to gather momentum and force major changes, such as shifting the burden from indirect to direct taxation. Some rabid optimists (like myself) may even dream of the emergence of a new authentic political party to fill the gaping void on the left side of the political spectrum. I STARTED with a warning, and I must end with another one: this movement has raised immense hopes. If it fails, it may leave behind an atmosphere of despondency and despair – a mood that will drive those who can to seek a better life somewhere else. My dear brothers and sisters in Palestine, my prayers are with you daily. I need to bring up a rather nasty reality here and, Iʼm certain that this reality has not been overlooked by you. 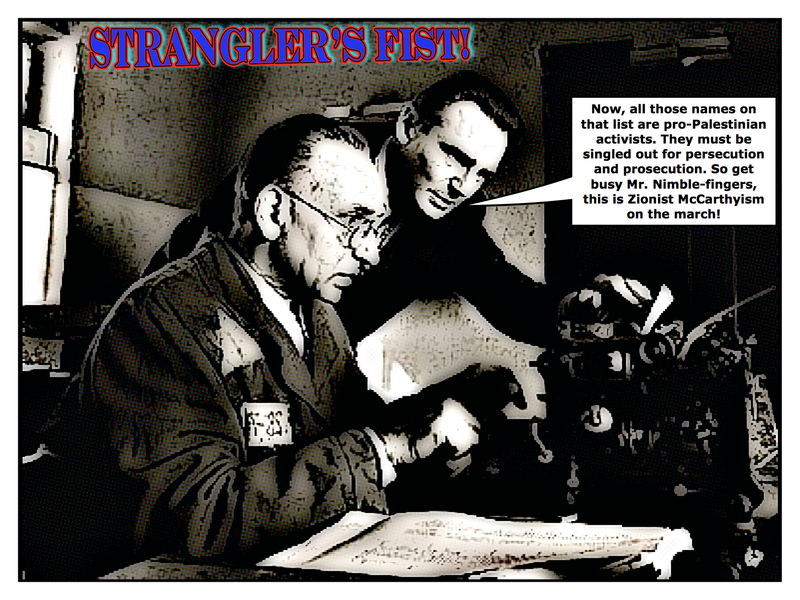 Binyamin ʻsquirrellyʼ Netanyahu is working his clandestine best to wreck Freedom Flotilla II. For the life of me, I canʼt figure out whatʼs got our buddy Bibs in such a snit. Maybe Bibs figures that if he canʼt stop this flotilla heʼll have lost the last vestige of legitimacy he might, on a good day, be able to claim. Trust me, our buddy Bibs is worlds of short in the legitimacy department. The world knows it. This letter is not about Netanyahu. You know full well the evil Binyamin Netanyahu works on Palestine. The President of these United States, one Barack Obama, managed to sermonize large on Palestine. The rights of Palestinian people. A “fair and equitable” peace for Palestine and Israel. You know, not too far back in the beginning to ʻterm Obamaʼ. Well, thatʼs mostly a load of blah blah blah at present. As you know, the proof for sermonizing is always in the pudding. Ergo, any Obama sermon is mostly bland and thin pudding if not outright gruel. And, one might not want a second serving of Obama gruel. So, Obama is about worked to a frazzle trying to do the bidding of Netanyahu and keep Freedom Flotilla II from reaching Gaza. The Obama diplomatic face, Hillary ʻschoolmarmʼ Clinton, has even cajoled the US State Department into intimidating and making threats on humanitarian workers planning to bring aid and comfort to Gaza. entire planet just to make her point. Of course the Clinton point would be, do as I say and not as I do and be amiable little peasants or weʼll bomb you back to Neolithic Hell. Humanitarian Law Project and Holder managed to garner 23 subpoenas that merely serve to highlight the sheer galling hypocrisy of US policy towards Palestine/Palestinians. By Clintonʼs twisted thought process, aid to Gaza is material support to terrorism. You know, as if Hamas and/or Palestinians were al-Qaeda. Uh-oh, I said the “al-Qaeda” word. Now everyone run around in circles, be afraid, take comprehensive leave of your common senses, and just act all knee-jerk and foolish. My point would be, Hillary the schoolmarm is NO friend of Palestine, Palestinians, and/ or real actual peace for Palestine and a just settlement to longstanding issues like the right-of-return and Iʼll not do a lengthy listing of Palestinian grievances. Yeah, there are many. Grievances. Next up, the Imperial US Senate. Or as we living in the Homeland Insecurity like to call them, the good old boy network that turns a handsome profit for senators and not so much for us. 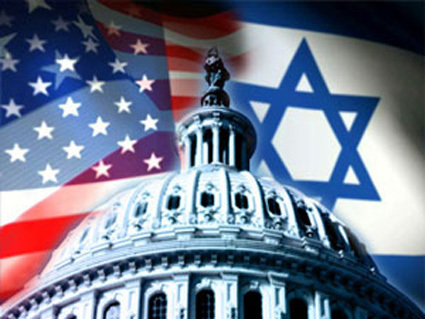 of course that Israeli occupied territory lovingly known as- The United States Congress. SR185 “warns” that UN recognition of a Palestinian state harms the peace process. Okay, I need just a moment to run outside and spit. Laughing all the way of course. “Peace process?” Really? What peace process? You see, at least 87 Imperial US Senators are so out-to-lunch as to be laughable. Can we all say, disconnected from the ʻreality-basedʼ community? I knew we all could. of innocent people AND that senatorial brain trust is too stupid (servile to Israel?) to hold even a modest clue as to what it is theyʼre doing. I canʼt figure out what theyʼre doing and I live here. You know, in the Amerika. comply will…” and “serious impact on US aid…” and blah blah blah sprinklings of banal blah blah blahs and so on ad infinitum. 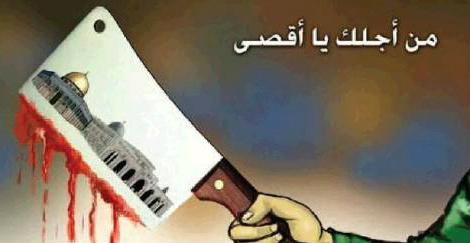 My Palestinian brothers and sisters, the good old US of A is not your friend. I know that, you know that, Israel is laughing at you and me as I write this. The Obama may in fact be any number of horrendous hypocrisies and demented bombings of innocent people in places too numerous to bring up here. Obama is no friend of Palestinians. Clinton is simply too evil to be working diplomacy of any sort. That state of affairs is so utterly futile as to be hopeless. It is disheartening, it is shameful, it is egregious on levels that are inhumane. Iʼve made my position known to any Obama admin flunky that I can find an email address for. My spouting off about injustice and Palestine get me about nowhere. Regularly. But enough about that for now. Howʼs the weather? POLITICAL SCIENCE OR POLITICAL ART AT ITS WORST? I’ll never understand why they call this field “political science”, for it is political art at its worst. For anyone closely following the Palestinian-Israeli issue, nothing is more insulting than the world’s political players peddling another peace initiative, crusading as the ultimate formula to extract the conflict from its current abyss. 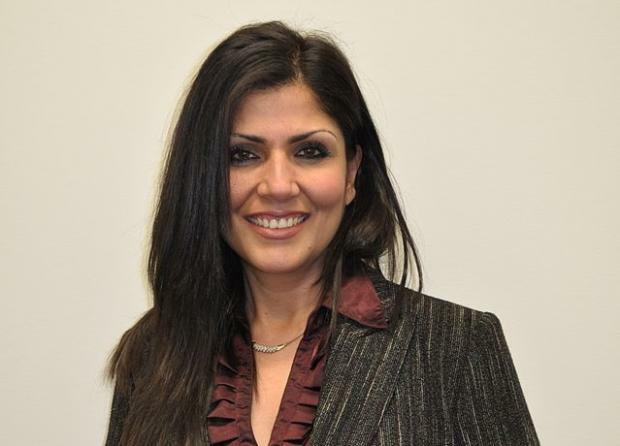 The most recent episode of such political peddling happened in rapid fire from mid-May to early June 2011, when US President Barack Obama and Israeli Prime Minister Binyamin Netanyahu engaged in a ping-pong-like game of four days of policy speeches. The political fallout of these speeches was rather predictable. The media hailed Obama’s words as historic and started to view his approach as a new set of parameters (which are actually a step back from past US parameters) that could serve to bring the parties back to the negotiations table and on a path to resolving the conflict. Those immersed in this conflict knew better. They saw Obama’s words for what they really were: a total buckling of US policy to an arrogant and intransigent Israeli prime minister who wields tremendous domestic leverage on US politics by way of the pro-Israel lobby, the American Israel Public Affairs Committee (AIPAC). For Obama, who already has his eye on the prize of a second term, the pressure was too much to bear. France has placed an offer on the desk of Prime Minister Benjamin Netanyahu: Begin direct negotiations with the Palestinians in September, on the basis of the Obama plan. The proposal does not define Israel’s borders, draw a map of Jerusalem or determine which settlements Israel must remove. It even helps the Israeli position in that it speaks of “two states for two peoples,” in other words it acknowledges that Israel is a Jewish state. It opposes unilateral steps by either side–that is, both the expansion of Israeli settlements and the Palestinians’ intention of seeking UN recognition for their state. Anyone who knows anything about this conflict can tell you that this so-called “initiative” has as much chance of serving its proclaimed purpose as Hosni Mubarak has of being re-elected as president of Egypt. The collective global memory seems to be in deep amnesia. We have been here before–at a point where half-baked initiatives and resolutions, non-compliant with international law and absent of any sense of historical justice, were touted as “the right formula”. Palestinians don’t forget so easily, especially since their deep wounds due to dispossession since 1948, military occupation since 1967 and non-stop institutional discrimination against Palestinians inside Israel have never been given a chance to heal. To name just a few of the past infamous peace initiatives, whose number is mind-boggling: UN General Assembly Resolution 181 (II) Future Government of Palestine (November 29, 1947), Count Folke Bernadotte proposals (1947-1948), UN Security Council Resolution 242 (November 22, 1967), Jarring Mission (1967-1971), Allon Plan (July 26, 1967), Rogers Plan (1969), UN Security Council Resolution 338 (October 22, 1973), Reagan Plan (Sept. 1, 1982), Oslo Accords (1993), Wye River Memorandum (October 23, 1998), Camp David 2000 Summit (2000), The Clinton Parameters (December 23, 2000), Taba summit (January 2001), The Tenet Plan (June 13, 2001), Elon Peace Plan (2002), Nusseibeh-Ayalon Agreement (2002), Arab Peace Initiative (March 28, 2002), The People’s Voice (July 27, 2002), Road Map for Peace (April 30, 2003), Geneva Accord (October 20, 2003), Sharm el-Sheikh Summit of 2005 (February 8, 2005), 2006 Franco-Italian-Spanish Middle East Peace Plan and, sadly, the list goes on and on. Although this two-state approach is more honest in its larger context (as it relates to the flawed notion of “Jewish state” and right of return of Palestinian refugees), the text in premise four demonstrates that Count Bernadotte, 64 years earlier, stated the same principle that President Obama and the most recent French “initiative” promote: setting borders not compliant with the reference at the time, which was UN Resolution 181, the Partition Plan. 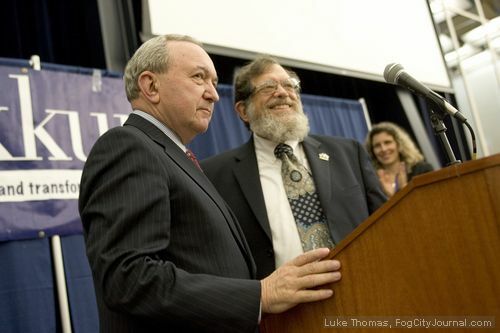 ‘Continuing to honor the dishonorable’…..
Justice Richard Goldstone (left) was honored by Rabbi Michael Lerner (right) during an event held at UC Berkeley, 3/14/11, marking the 25th Anniversary of Tikkun Magazine. Photo by Luke Thomas. I receive emails daily from a broad spectrum of Left and Progressive organisations. I always found it odd however when I receive such mails from a group or individual describing themselves as ‘Progressive zionist’. I find that term to be an oxymoron. Michael Lerner, of Tikkun Magazine is one such individual. 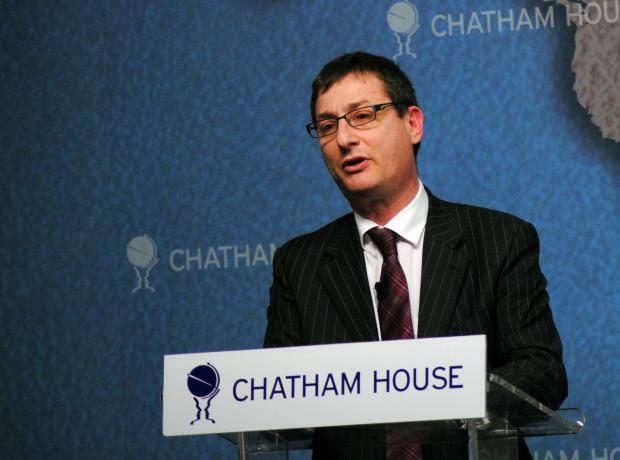 His views on Israel can be seen in THIS report. The ‘Jewtopia’ he dreams of is just that, a dream. His organisation claims to stand for ‘healing, repairing and transforming the world’, in actuality it seems to do just the opposite. An email I received from his group this morning was quite disturbing, instead of attacking Richard Goldstone for his ‘about face’, he attacks Uri Avnery for telling it as it is. Here is the email in its entirety…. you’ll see exactly what I’m talking about; be sure to read the separate report at the end to see the results of Goldstone’s ‘green light’. Editor’s Note: There is much wisdom in Uri Avnery’s analysis of the Goldstone controversy, but I cannot accept the ironic dissing of Goldstone himself. We did not give him the Tikkun award because we agreed with his report–we knew and said publicly long ago that the claim that Israel intentionally sought to kill civilians was at this point unsubstantiated and weakened the report, and I’m glad he repudiated that part. As other commentators have mentioned, Israeli human rights violations remain deeply unethical whether or not they were consciously intended by the Israeli government, or merely the product of what Avnery analyzes below–a systematic inability on the part of Israelis to see Palestinians as human and their suffering as a moral affront to God and humanity. On the afternoon of Thursday April 7th, Israeli forces escalated their attacks on the Gaza Strip. The murderous offensive has killed 18 people so far, the majority of them being civilians. Among the massacred are a mother, her daughter, two children, two elderly men and four members of Al Qassam Brigades. More than sixty people have been injured, some are still fighting for their lives. Since Thursday afternoon the Gaza Strip is besieged by drones, Apache helicopters, F16 and E15 fighter planes, gunboats in the south and tanks by the border. At approximately 16:00 on Thursday, Israeli forces targeted areas surrounding the previously destroyed Gaza International Airport in the far southeast of Rafah city, in the south of the Gaza Strip. Israeli forces positioned along the border fired approximately 10 artillery shells, while Apache helicopters opened machine gun fire. A number of the artillery shells landed near three Palestinian civilians who were sitting near the airport. Two of them, Mohammed Eyada Eid el-Mahmoum (25) and Khaled Ismail Hamdan el-Dabari (17) were killed immediately and the third civilian, Saleh Jarmi Ateya al-Tarabin (38) died of his wounds in the hospital on the evening of the same day. Israeli forces continued to fire as a number of Palestinian civilians attempted to rescue the wounded; Musaab Mohammed Ubeid Sawwaf, 20, was killed and another 14 civilians, including five children and a paramedic from the Palestinian Red Crescent Society, were wounded. Salama El-Dabari is seated in a tent, mourning the loss of his nephew, the 17 year old Khaled Ismail Hamdan el-Dabari, while he explains to ISM volunteers what has happened. 21 year old Abdel Hadi Jumma el-Sufi is one of the injured and is currently hospitalized in Shifa hospital in Gaza City. He stares at the ceiling of his hospital room while recalling the murderous event. “One of the men was hit in the beginning of the attack, so me and my friends approached to evacuate him. We found out that the man was already dead. Tanks kept on shelling and killed another man. We managed to get the two dead bodies and one severely wounded man out of there, into the ambulance, but could not reach the fourth man as shelling prevented us. I thought he was still alive, but in the morning the ambulance recovered another dead body from the scene.” Abdel himself sustained shrapnel wounds to his legs, lungs and the back of his head and is currently awaiting surgery. 20 year old Mahdi Joma’a Abu Athra is worst of: the doctor at Europa hospital in Khan Younes describes him as a dead body kept alive by machinery. His maternal uncles are sitting around the hospital bed and are explaining that Mahdi got married a couple of months ago: his wife is pregnant. It seems unlikely that Mahdi will ever lay eyes on his firstborn.